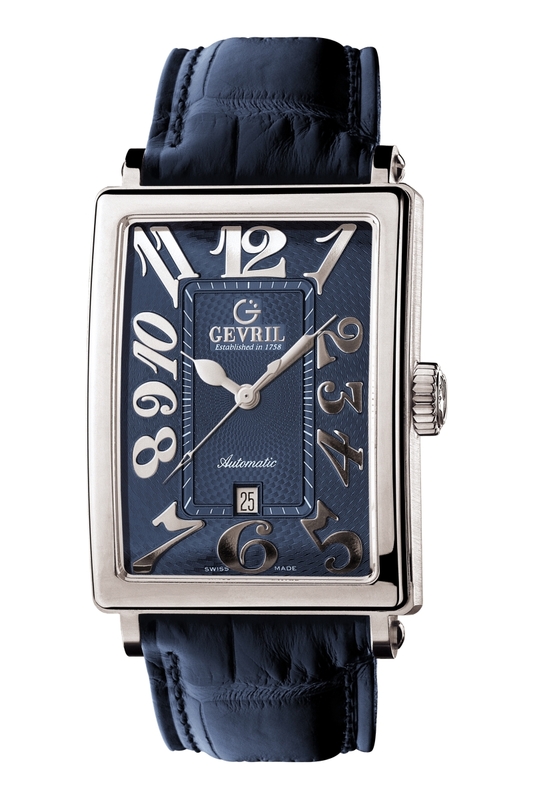 This American classic is the culmination of over 265 years of Swiss watchmaking expertise. 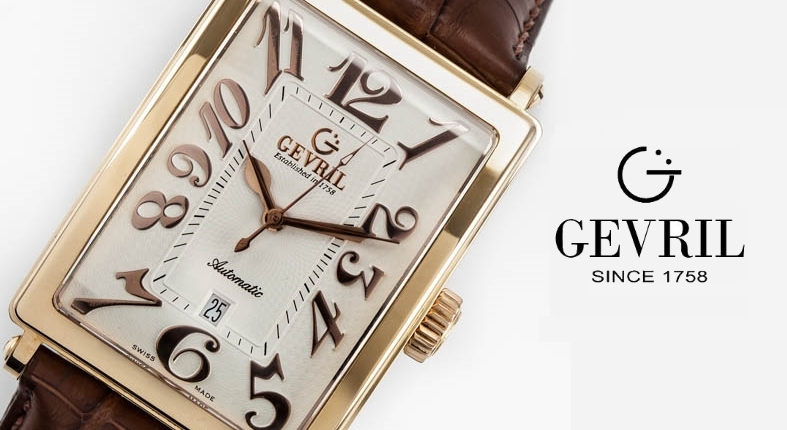 Gevril Avenue of Americas timepieces have been the brand’s flagship model ever since watch industry insider Samuel Friedmann acquired the historic Swiss company in 2001. 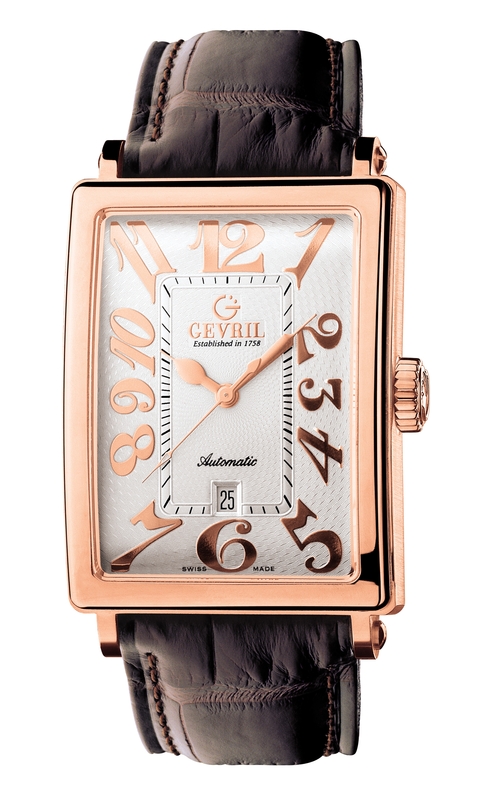 Based on a case design that was discovered in Gevril’s historical archives, the iconic Avenue of Americas Collection is unmistakable. By combining a classic art deco design with sophisticated refinements like a curved anti-reflective sapphire crystal, a beautiful beveled dial and hand painted applied numbers in a variety of fashion forward colors, the Swiss made Gevril Avenue of Americas has become a modern American classic. The superbly crafted rectangular 316L surgical stainless steel case houses a precision Swiss-made ETA 2892 automatic movement favored by master watchmakers around the world. This renowned mechanical movement has been designed to last a lifetime with proper care and has been used by famous names like Bulgari, Omega, Girard Perregaux and many others. The Avenue of Americas signature three hand configuration is available with your choice of white. blue, black, silver, or beige dials with rose gold, blue PVD, black, or stainless steel details. 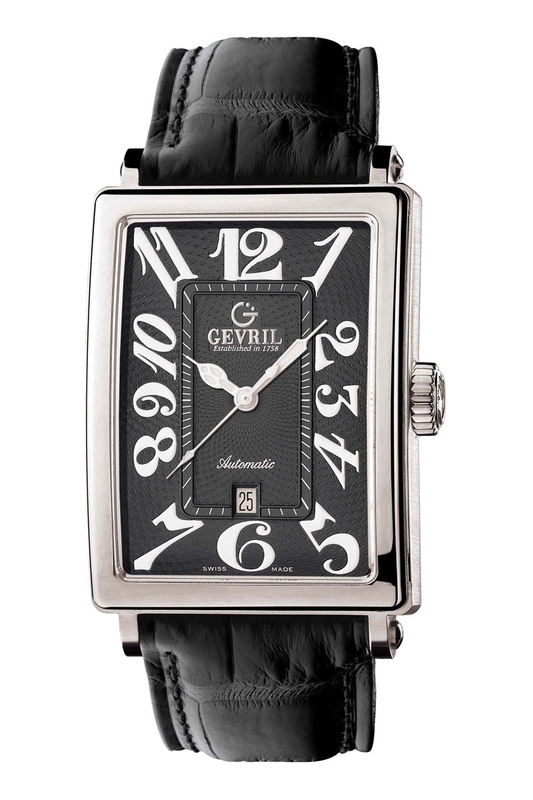 Oversized Arabic numerals surround a clearly marked sixty minute scale with the Gevril logo at 12 o’clock and a convenient date window at 6 o’clock. The 44mm x 34mm Avenue of Americas has an exhibition back so you can easily see the intricate movement at work and is water resistant to 165 feet. A brown, blue, or black padded calfskin strap secured with a traditional tang buckle has been fitted to complement the dial color of each watch. In addition to the popular three-hand configuration, the Avenue of Americas is also available in chronograph, dual time, GMT, Moon phase, ladies, and special limited edition variations. 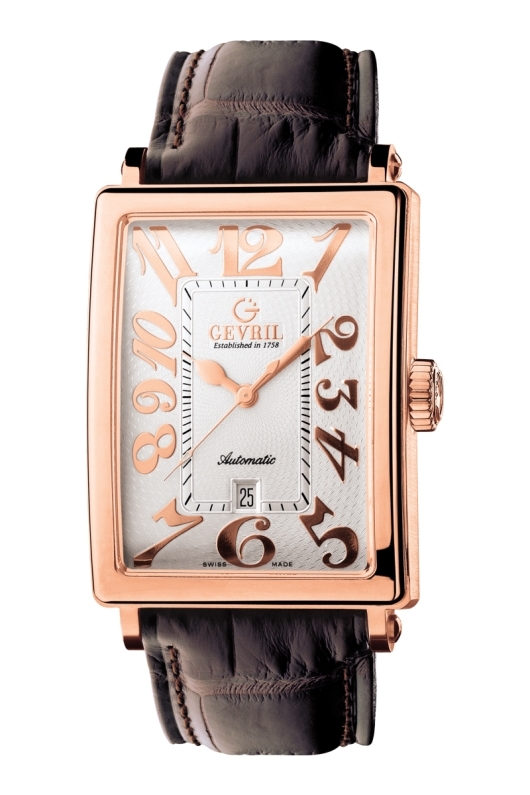 Like all Gevril timepieces, Avenue of Americas watches are backed by a two-year manufacturer warranty. This distinctive retro-inspired design isn’t for everybody, but discriminating watch aficionados will appreciate the Avenue of Americas masterful blend of old and new. If quality, old world craftsmanship, and classic good looks appeal to you, you’ll definitely want one of these American classics on your wrist. 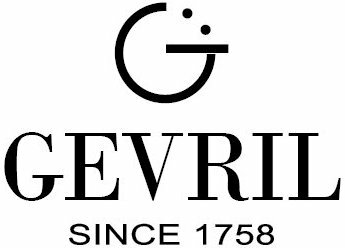 Since each Avenue of Americas timepiece is produced in very limited numbers, we urge you to contact an authorized Gevril dealer immediately and reserve your own Avenue of Americas timepiece today.